The Arts Management Concentration offers a well-rounded education through coursework from the Department of Theatre and Dance, the Manderson Graduate School of Business, and the College of Communications and Information Sciences. In addition, students receive invaluable hands-on, practical work experience through a rotation of assistantships, including Assistant Business Manager, Box Office Manager, Marketing Manager, Marketing Coordinator, Education and Outreach Manager, and Education and Outreach Coordinator! These assistantships enhance the students’ professional experiences in all aspects of arts management, making them desirable to arts organizations and corporate employers. Enrollment into this program is capped at six per year. However, assistantship awards are limited to a maximum of two per year. Admission to the program and assistantships are awarded based on a portfolio review, interview and acceptance into The University of Alabama Graduate School. Portfolios may be uploaded as part of the University application process or sent directly to the program director. The Application deadline is February 15 of each year. For more information, please contact Dominic M. Yeager, Director of Arts Management, at dmyeager@ua.edu. This three year dual program offers students the opportunity to earn two degrees simultaneously through the Department of Theatre & Dance and the Manderson Graduate School of Business. Students spend the first year of study primarily with the MBA program. Consistently ranked in the top 50 programs for Best Value, Manderson prides itself on small class sizes and collaborative group exercises for students to learn about trends in the business world today. 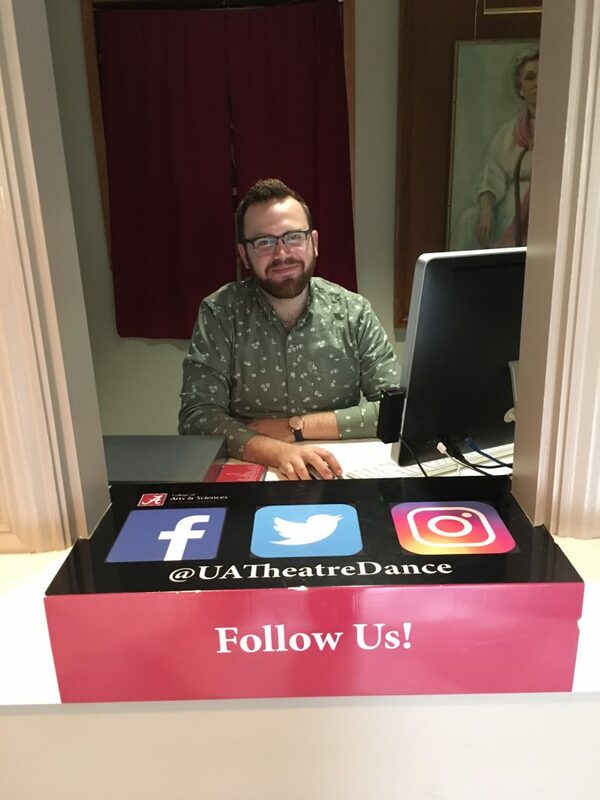 Additionally, students receive hands-on, practical work experience through rotating assistantships in the arts management office. 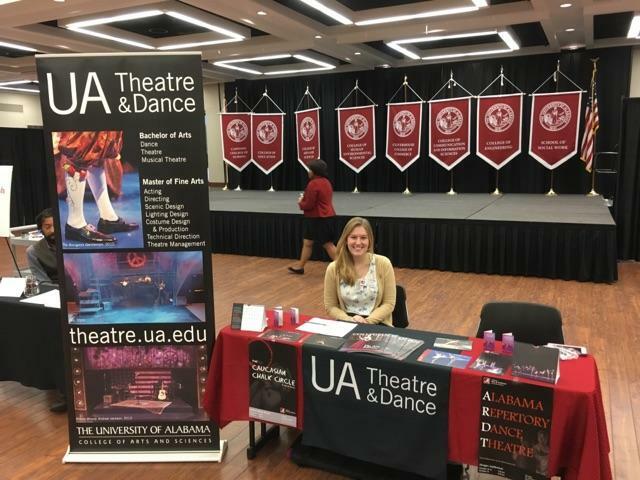 Students manage the many facets of UA theatre and dance programs that include 13 productions every year. The joint program provides students an opportunity to incorporate business skills in both corporate and nonprofit arts professions. Students take 15 credit hours each semester and will complete 2 internships during the summers. Students must be accepted to both programs to pursue this track. For more information about the MBA program and its admission requirements, please visit the Manderson webpage.